This portable GPS system is designed to be easy to use and can be customized to the exact specifications of your large RV. Designed specifically for RVs, this GPS will easily map out the best route using the latest traffic and road information. You will appreciate the bright 7 inch display screen that is easy to read, along with the audible alerts that ensure you never miss a turn or lane change. It is Bluetooth compatible and can even be linked to your smart phone for convenient “hands free” calling, along with the latest weather and road updates. 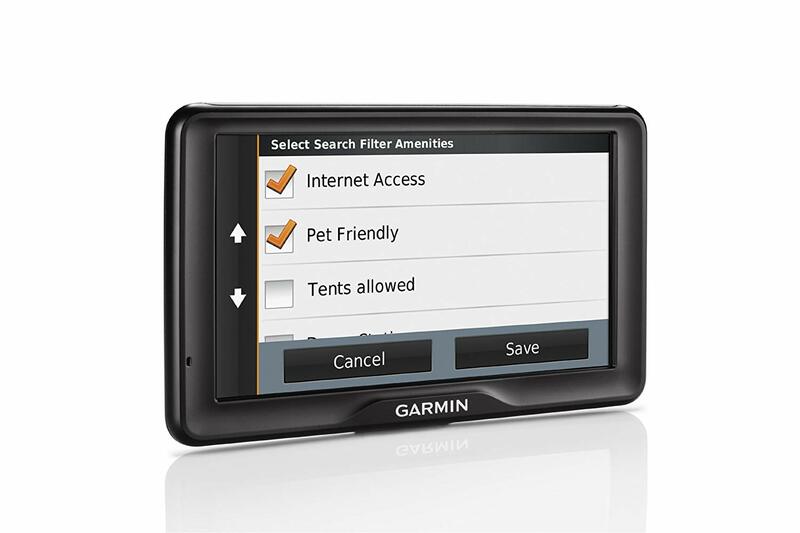 While this GPS device is Bluetooth compatible and able to connect to Garmin‘s helpful live services there might be an additional fee that could affect your budget. You will love how easy this RV GPS system is to use, especially when you are planning a long road trip. It is designed specifically for larger recreational vehicles, and can be customized to plot routes based on weight, height, length and width. This ensures that you are never stuck underneath a low hanging overpass or on a road that is too narrow for your vehicle to pass. With a lifetime of free traffic and map updates it is easy to plan your next RV trip with this GPS device. Not only will it take into consideration your large vehicle’s specifications, it will also indicate RV friendly places along the way. Find campgrounds and state parks, along with restaurants and even laundry facilities. It will also alert you when narrow roads are up ahead, along with any low hanging branches and strong winds so you can have a safe and pleasant trip. 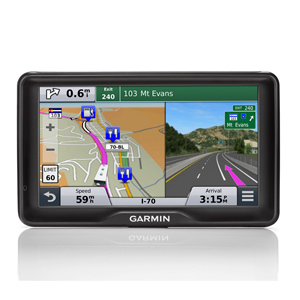 This GPS system features a large 7 inch touch screen that is easy to read in any lighting. It will clearly display your intended route, along with your speed and estimated arrival time. It also features voice activation that will alert you to any upcoming turns or lane changes, along with responding to your verbal commands. This lets you safely control the device without having to take your eyes off the road. Since this convenient device is Bluetooth compatible you can enjoy “hands free” calling while you are driving. The included speakers ensure that you can clearly hear every word, and with the ability to connect to your smart phone you also have the advantage of being able to access live weather reports. Avoid storms and dangerous winds, along with all of the other features offered with Garmin Live Services. How to use my Garmin RV 760LMT? Using the Garmin RV 760LMT for navigation is easy, and the unit comes equipped with a plethora of features that make your experience more enjoyable. The first thing you need to do is to introduce all the details about your vehicle, such as weight, height, and length, as the GPS device will then choose the routes you can use, due to the restrictions related to your RV’s size. Another helpful feature is the BaseCamp software that allows you to personalize routes and shares them with your friends. America’s RV Parks & Services directory also helps you find places along the way that cater to your needs. How to update Garmin RV 760 LMT? Updating your map on your Garmin device is easy. The first thing you need to do is to make an account on their website, register your device, and then check for updates. To do so, you will have to go to the myMaps tab on your Garmin account and see if there are any free updates available. In case there are no free updates available for download, you can also use the option to purchase some extra maps, depending on your destination or your route. The system will provide you with step-by-step instructions on how to do that. How to register Garmin RV 760LMT? To have easy access to updates and other information, it is always a good idea to register your Garmin device. What you must do is to go to www.mygarmin.com and create an account in case you don’t have one already. From there, you must pick the Register tab and follow the instructions offered by the system. In case you are asked for information you do not know already, check the owner’s manual provided with your purchase. Should you no longer have yours, you can always find the necessary documentation on www.garmin.com/support where information such as owner’s manuals is available for various Garmin devices. How do I replace a battery on Garmin RV 760LMT? If you need to replace the battery on your Garmin RV 760LMT, you must follow the next steps. First, place the unit with its face down and remove the screws in the back. Pry open the back plate but do not force it. Once that is out of the way, you will see the battery in its place. Disconnect it from the mainboard. Taking out the battery may be a little daunting as it is kept in place with adhesive. Use a blow dryer to make it loose a bit if it doesn’t quickly come off. Replace it with a new battery, making sure to connect it correctly. The Garmin RV 760LMT is considered by most customers who have tried and tested it an excellent purchase, and the vast number of reviews left by buyers are positive. As it is made by a company with a long-standing reputation in creating GPS units for vehicles, the expectations are high, and the aggregated reviews point out that these expectations are met. Reviewers say that one of the most useful features of this unit is the possibility to introduce details about your RV, such as height, length, and width, which helps them avoid situations where they might get stuck while traveling. The Garmin RV 760LMT seems to be easy to use, so setting it up for the type of RV you have appears to be a breeze. 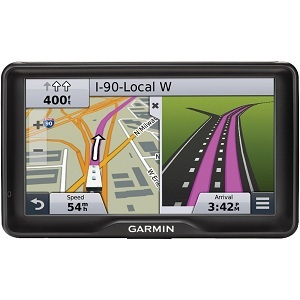 Another aspect that is praised by those who have already bought and tried this model from Garmin is the voice command. Several people say that they find it much easier to say the name of a location, be it a city or a town than get busy manipulating the device while they should be focused on driving. That contributes to making this device from Garmin a useful tool for improving road safety. With such a companion next to you, your trips will also become more enjoyable. The most important aspect of this device is that it is capable of providing you with excellent instructions related to your routes and how to get from one place to another. The live traffic updates will surely help travelers decide on what routes are best to choose, and whether there are road congestions ahead. The fact that the unit can also recalculate routes on the go is a handy feature, as many buyers indicate in their reviews. That can save you time, by allowing you to avoid traffic jams and other road conditions that might get in your way. Another thing noticed by reviewers is that synching the unit via Bluetooth with mobile devices works as intended and without a glitch. Since it would be easier for you to consult your phone than leaning over to check the GPS unit directly, this can be considered quite a convenient feature. 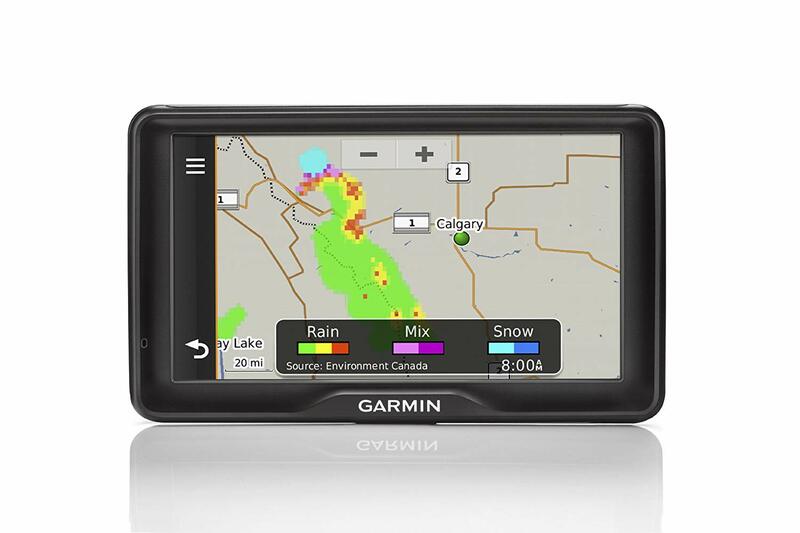 Overall, users seem to be pleased with the Garmin RV 760LMT. There are a few minor complaints, but they are more related to some extras provided with your purchase. For instance, one reviewer says that the software provided won’t show rest stops, but shows banks instead. Also, another reviewer notices that the directory listing the RV-friendly parks lacks many places that cater to such vehicles. With very few mishaps, mostly connected with extras than with how the unit is built and what information it is capable of providing, the Garmin RV 760LMT appears to be a well-rounded product. When you need to travel by RV on long routes, this GPS unit will help you find your way with ease. Designed for use with large recreational vehicles, this GPS system includes everything you need to plan a fun and safe road trip. It is designed to be easy to program, and you will appreciate having RV friendly places marked along your intended route. The device can be customized to your vehicles exact specifications, and with access to the latest traffic, road, and weather conditions you relax and enjoy your trip.